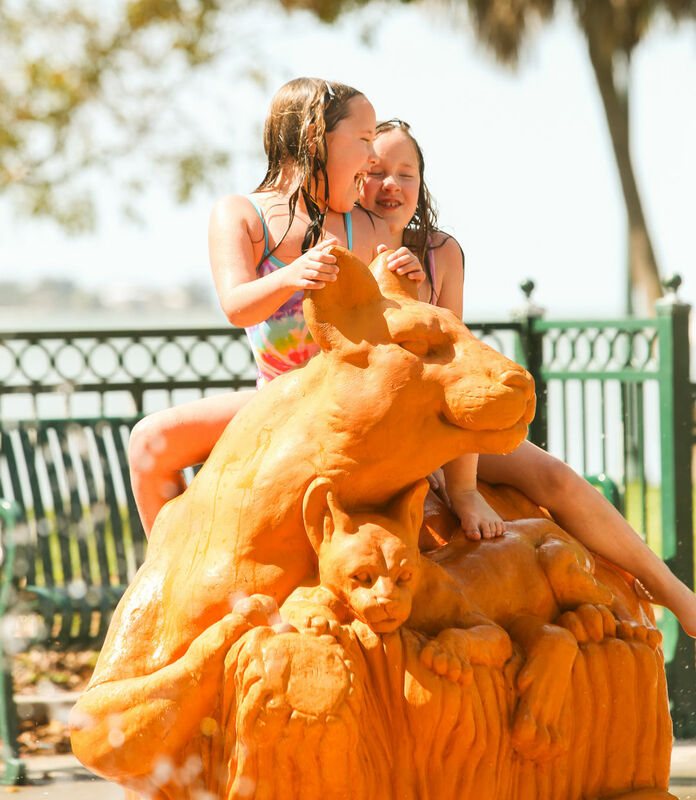 No swimming here, but little ones love to climb all over the colorful fiberglass animals as water jets cool them off. Lots of shady picnic tables nearby, too, for lunching at this downtown park adjacent to Marina Jack. Summer hours are Memorial Day to Labor Day from 10 a.m. to 7 p.m. daily, weather permitting. A mammoth slide provides plenty of thrills at this city-owned pool and splash pad that’s open to the public Tuesdays through Fridays from 2 to 7 p.m.; Saturdays from 11 a.m. to 5 p.m. June through Aug. 19. 1845 34th St.; $2 for kids, $4 for adults, free for members. Kids love to dart through the dozens of nozzles that spray water across the nonskid surface. It’s adjacent to a nifty Family Fun Zone playground on the Riverwalk, 452 Third Ave. W., and is open 9:30 a.m. to 7 p.m. daily. 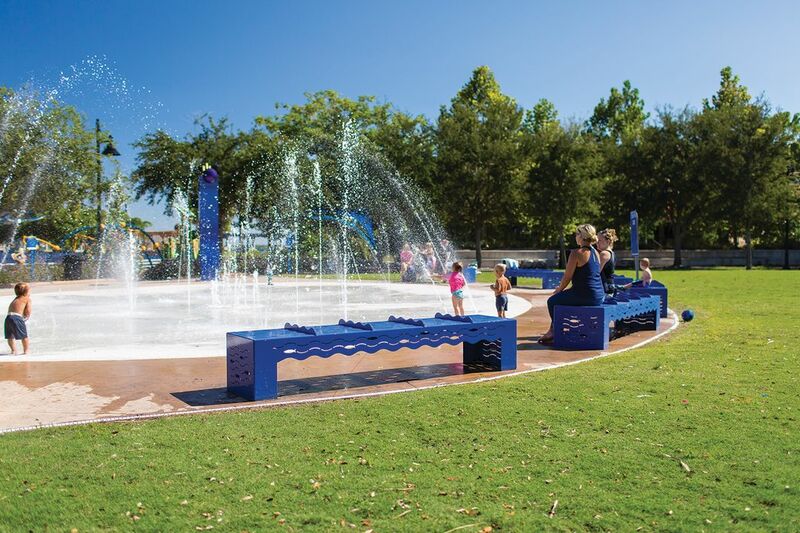 The nonprofit Sarasota Sharks swim club recently took over management of this popular splash park at the Sarasota Y’s Evalyn Sadlier Jones branch in Palmer Ranch, but the same fun elements still apply, including the shallow swimming pool, waterslide and water cannons. Open all summer Fridays-Sundays; $12 for Y members and nonmembers.